Published by almostaghost on November 10, 2012 in almostaghost and mixes. 0 Comments Tags: Andrew Bird, Claudine Longer, First Aid Kit, Jenny And Johnny, Jenny Lewis, Life In Mixtape Form, Portishead, Radiohead, Underworld, Wilco. Life In Mixtape Form #73 from almostaghost on 8tracks Radio. Published by almostaghost on May 27, 2011 in almostaghost and mixes. 0 Comments Tags: Bob Dylan, Broken Social Scene, Gil Scott-Heron, Great Lake Swimmers, Janelle Monae, Life In Mixtape Form, Parliament, Radiohead, Wilco. Hello, here is my next LIMF mix. Hope everyone has a nice long weekend, and relaxes. Got a couple of post ideas to write for here, and a couple of non-LIMF mix ideas too. Now I have a bit more time, I may get on those. Published by almostaghost on August 28, 2010 in review. 0 Comments Tags: Abingdon, album review, England, Phil Selway, Radiohead, Wilco. Pretty much any drummer’s solo album will be a curiosity, but when the drummer’s main gig is in Radiohead? Is he going to go all Tony Allen and jam wildly for 30 minutes? Is he as haunted as Thom Yorke? Is he the new Phil Collins? Turns out, Selway is nowhere close to any of those. I guess that’s not really a surprise. 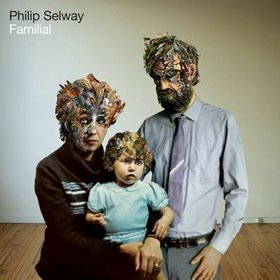 The surprise is that Familial is a folky, quiet whisper of an album. I’m not blown away by anything, but neither is anything in any way bad. Let’s just say, I’m probably going to use ‘nice’ an awful lot in this review. Musically, Selway’s songs are all folky and warm. Some other musicians, most notably Glenn Kotche and Pat Sansome from Wilco, help add little touches to the songs. Little things show up from time-to-time, a bit of bass, a little organ, a background vocal loop, but mostly from song to song, these tracks sit in that Nick Drake world of hushed, delicate acousticness. Phil’s voice, as well, matches that exactly–it sounds like he is whispering. It works, but lacks any distinction. 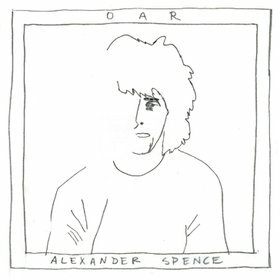 Few melodies will stick in your head for very long, but are all pleasant. The songs themselves are well-written, but again, I really don’t imagine any ever being anyone’s favorite songs or anything like that. There’s nothing bad here though. Many of the songs seem to be about looking and moving forward from the past, and doing it, not alone, but with a partner or family. (Hence, the album’s title.) “By Some Miracle” hints at depression, and climbing out of it (using a Nick Drake-y allusion to the “black dog down in the basement / barking out my name / snapping at my heels when I falter”), and I believe this is a common theme throughout the record. The beautiful “Don’t Look Down” also compares life to a tightrope, and not to let your fears and doubts bother you. This angle is a stark difference from Radiohead. Yorke finds his songs within the fears and doubts. Selway, however, finds his songs in getting past them. I know that “nice” can be a somewhat insulting word when it’s used in a review. The album definitely has enough going for it, especially in its consistency. There are no weak points, but no very high ones either. Because of this, it should be seen as more than a curious gimmick (Radiohead drummer sings! ), even if the end result is merely nice.